My hunt through the archives of the world for unpublished George Henry Lewes letters for a forthcoming edition of his letters has so far thrown up over 450 unpublished letters in his hand. 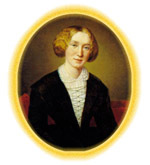 It would hardly be surprising if the search sometimes produced unpublished George Eliot letters and related documents. A February 1991 letter to Charles W. Mann, Chief Rare Books and Special Collections at the Pattee Library, the Pennsylvania State University Library, resulted in a rich harvest of materials. The Allison-Shelley Collection of over 10,000 books and many thousands of letters, manuscripts and drawings was bequeathed to the Pennsylvania State University in 1972. It was left by Dr. Philip Allison-Shelley who was Professor of German and Comparative Literature at Pennsylvania State University. The focus of interest is Anglo-German literary relations and translations, and materials are continually being added to the collections. James Lowe Autographs Catalogue No. 34 (1986), of New York City, contained several George Eliot and G.H. Lewes holographs which were purchased and added to the Allison-Shelley Collection in 1987. Two of the Eliot letters are addressed to Dr. Emil Lehmann (1829-98) of Dresden. The brother of Lewes's close friend, Frederick Lehmann, he translated Felix Holt and Middlemarch, as well as G.H. Lewes's Actors and the Art of Acting into German. Once is a lengthy letter to Lehmann's relative Mrs. Benzon concerning his translation of Middlemarch. The other letter of interest is from John Waiter Cross to Lehmann concerning his interest in translating into German Cross's Life of George Eliot.